Twenty years ago, Moosomin had a privately founded and funded museum. At that time, the owner was retiring and the collection was sold. 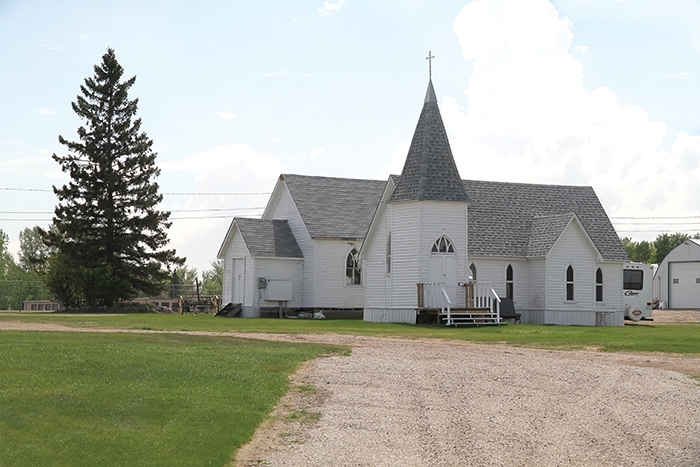 Thankfully, a group of forward looking members of the community were concerned that the historical culture and artifacts would be lost for future generations, and formed the Moosomin and District Museum. Traditionally, museums collect items that can be displayed for the general public’s enjoyment and education. Many of the items in our museum would not be seen by young people today, if they did not have the opportunity to view it in a protected museum environment. It has taken some years, and many, many hours from very dedicated volunteers, but today the museum tells the story of everyday life of the early European settlers and businesses, moving forward through two world wars, up to the recent past. Eventually, museum members would like to include older history and artifacts telling the story of the area’s First Nation population. He believes the museum plays an important role. “It preserves our local history,” he says. “We’ve done a good job of preserving our past, now we need to get more local people stopping to see it. He said there are some unique items the museum has that are part of Moosomin’s history. “The Fudge snowplane is probably one of our biggest drawing cards, and it’s a really interesting part of Moosomin’s history. “Those snowplanes were made in Moosomin and were used all around the world. While some museums must keep most of their artifacts in storage because of limited display space, Barry says the Moosomin Museum has most of its artifacts on display. “We have the majority of our artifacts on display—probably 80 per cent of our artifacts are on display,” he said. The museum will have expanded hours this summer. “We were able to partner with Moosomin Regional park, and we’re able to cost share a student, so we can be open more hours. We’re going to try to plan some more events, and we want to set up a bit of a picnic area. The Moosomin museum’s location has also been developed as a tourist centre. With the closure of the Fleming Visitor Reception Center on the TransCanada Highway, the Moosomin Museum was a logical place for travelers to stop in, stretch their legs, allow their pets a run, use the picnic tables and gather information on the surrounding area. Among the artifacts at the museum there is a large collection of farm equipment, including several tractors and implements from the 1920s to the mid-1960s. The main building holds historical displays of actual items used in local businesses, the hospital and everyday items dating back to the 1800’s, and WW1 and WW2 War artifacts. On June 8 the museum will celebrate 20 years with a fundraiser barbecue. The museum will be free to the public. It will open at 4:00 in the afternoon, with everyone welcome to tour the various buildings. A family friendly event, there will be a bounce tent, interactive activities and games for kids of all ages! As well, there will be an opportunity to experience a ride in the Fudge snow plane (converted for summer conditions)! The museum is partnering with the RBC, who will have volunteers helping to serve burgers between 5 pm and 7 pm, and Borderland Co-op, who are assisting with food and providing cotton candy. The museum hopes to encourage and inspire the Moosomin community to take an interest in their own local history. The museum is located on the west edge of Moosomin with easy drive through access from Park Street on the north, or Pentland Street on the south. A part time student has been hired and along with volunteers who will keep the museum open July 1 to August 26, Tuesday to Sunday from 1 pm to 5 pm. Visitors may also contact volunteers to view the museum for limited unscheduled hours throughout the summer at 306-435-7249 or 306-435-9251.